The newly-elected United Nations Secretary-General Antonio Guterres kicked off the new year with a stirring speech, highlighting the importance of overcoming differences and working as a team in “putting peace first”. Guerres offers an optimistic alternative to the turmoil and discord United Nations members have faced this past year. A plethora of high-stake crises and events have occurred over the course of 2016, many of which significantly altered the way the UN is perceived internationally. Four events were particularly salient for the UN and thereby, the world. These would be the ratification of the Paris Agreement, the Zika virus, the UN Security Council resolution regarding Israeli settlements, and the Syrian War. The remnants of 2015 made their way into 2016 in two major events that will greatly influence the UN’s years to come. The first of these is the enforcement of the Sustainable Development Goals (SDGs) in 2015, which marked a new era for UN agencies. While the document has hints of its predecessor, the overly-optimistic Millennium Development Goals, such as “eradicating poverty in all its forms”, there are some more novel and achievable goals such as those surrounding climate action, which includes “mitigating climate-related disaster”. This rather broad goal was important, however, in laying the groundwork for what would be the COP21 meetings in December of 2015 which culminated into the Paris Agreement. The Paris Agreement contains a list of exhaustive world goals relating to climate, energy, and technology, and suggests actions to take to combat climate change. Its ratification was significant in providing an updated and ameliorated version of the Kyoto Protocol written in 1997. This was a feat accomplished in October 2016, when 123 Parties, comprising of 55% of the world’s global greenhouse emission, ratified the agreement. Many praise the agreement for being the first of which where all countries, regardless of their development status, are asked to engage in collective climate change action. Furthermore, this allowed countries, such as China, to sign onto the agreement. Contrary to the Kyoto Protocol, the Paris Agreement doesn’t force the commitment of its signatories to actually reduce emissions; it simply states that ratifying countries must submit reports and partake in the effort to help climate action. For these same reasons, it is criticized, yet the majority of world leaders have welcomed the agreement, showing a shift towards global collaboration. Map of regions affected by the Zika virus in 2016. The UN additionally positioned itself in a more positive light via its handling of the Zika Virus epidemic. The Zika Virus broke out in the early 2016 in Brazil and quickly spread by summertime into what the World Health Organization(WHO) called a “Public Health Emergency of International Concern (PHEIC)”, though it was largely localized to the Americas. The timing was extremely close to the Ebola virus outbreak which rampaged across West Africa for a good two years beginning in 2014. It was no secret that the World Health Organization’s handling of Ebola was a failure in the early stages; the organization itself even released a statement calling their initial response “slow and insufficient”. Most likely due to this failure, the WHO took on the threat of the Zika Virus head on, despite the contraction of Zika resulting in a relatively milder illness compared to Ebola’s (approximately 80% of those who are infected by Zika show no symptoms). Almost immediately after the first few cases, the WHO began programs to contain, prevent, and research the Zika virus to the point that in November 2016, it was removed from the PHEIC status. It is of course still found in strains, and affects people in the region; however, the swift handling of the WHO showed that the agency was hungry to redeem itself from its past mistakes, and largely was able to accomplish the feat. There are undoubtedly other contributing factors to the rapidity of containment such as the WHO branch in South America differing from that of Africa, as well as Brazil being part of the BRICS. As Brazil is a more influential economy in the international sphere, it raises questions whether the crisis was deemed more pressing since Brazil’s national health crisis would affect its priorities as a major trading partner of many Western nations. Nonetheless, it showed that once the UN finds a way to be cohesive and driven, positive outcomes are possible. Nonetheless, the UN could not end its year without controversy. The end of 2016 was met by a resolution adopted by the United Nations Security Council (UNSC) in late December, which condemned and called for the cessation of Israeli settlements in the occupied Palestine. Overlooking the Old City in Jerusalem. 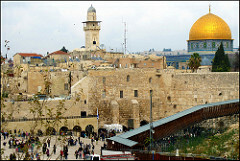 East Jerusalem in the adopted UNSC resolution is regarded as one of the occupied Palestinian territories. Admittedly, there have been hundreds of resolutions passed by various UN bodies, including the Security Council, regarding the Israel-Palestine issue. However, this one created a storm for a few different reasons. Firstly, it was adopted by the UNSC. Unlike many other resolutions passed by bodies such as the United Nations Human Rights Commission, UNSC resolutions are much more selective and targeted. as the body’s most fundamental purpose is to “maintain international peace and security“. For this reason, its resolutions are taken much more seriously on the international political stage as a reflection of allies and enemies. Secondly, the Netanyahu government fervently opposed this resolution, and as per usual, expected its closest ally, the United States, to do the same. However, the Obama administration has not always seen eye to eye with Israel on the settlement issue, and perhaps as Obama’s final send-off, the United States decided to abstain rather than use its veto power. This caused an uproar amongst the right-wing Israeli government and those sharing its views, such as President-elect Donald Trump. The resolution itself is not binding to hold Israel accountable for the settlements, it simply is a representation of what Security Council members at the time felt was notable to discuss on the international platform. To reiterate, hundreds of resolutions of this nature have been passed but little has changed in the overall conflict of Israel-Palestine. The issue will keep being brought up, as it should until there is peace in the region, but such instance continues to show the true colours of the UN being stuck in a perpetual cycle whenever an ongoing conflict is brought to the table. The crisis that most shook the international stage throughout 2016, thus greatly affecting the UN, has been the Syrian War. March marked five years since the Syrian War began, and 2016 was undoubtedly one of the most turbulent years that Syrians, both within Syria and those fleeing, have seen. Summer of 2016 was particularly daunting for those fleeing Syria in which the desperation to leave the constant bombings and inhumane living conditions was reflected in a 5000 migrant death toll, the highest ever reported for migrants crossing the Mediterranean sea. Towards the end of the year, the situation in the besieged city of Aleppo became particularly alarming, leaving those fleeing as well as those trying to help with a general sense of urgency, fear and uncertainty. The UNSC held an emergency meeting in December which ultimately escalated to the UNSC passing a resolution to allow UN monitors to help in evacuating Aleppo civilians. Despite many resolutions from various bodies regarding the war in Syria, this was significant in how a rare unanimous agreement regarding the Syrian crisis resulted in substantial action. Previous efforts such as sanctions have largely failed, because Russia, Syria’s strongest ally, alongside the occasionally agreeing China, had been using their veto to please their ally’s interests. This was seen by many as a long overdue action, and far from perfect as many evacuees were in great need of immediate medical assistance and proper nutrition. It is not to say that the UN has not been trying in Syria; many agencies such as the UN High Commissioner for Refugees have been raising awareness, and have extensively helped refugees though it may be argued to what extent. However, the body responsible for the security and the maintenance of global peace is none other than the Security Council, and when it fails to fulfill its role on the international stage, the whole world feels the consequences. In a whimsical article written in the Telegraph, there is an incredible amount of tension and standstill between the permanent Security Council members that have led to this inaction. It should suffice to say that human lives are worth more than dubious foreign policies, but in the world of politics, humanity never seems to be a persuasive excuse, and thus the war that has claimed over 400,000 lives rages on. The UN has seen an extremely challenging, yet relatively ordinary, year in 2016. It is easy to claim that the UN has been deteriorating and its message no longer holds any value, but to make such a claim presumes that the UN in its past had been particularly effective in its most important mandate, that of effectively securing world peace. The UN is best seen for what it is, a large institution made up of several bodies, some more effective than the others, and some who make mistakes. This is natural considering their high stakes, and other shortfalls can be accredited to the organizational bureaucracy and security-unrelated foreign policy conflicts. 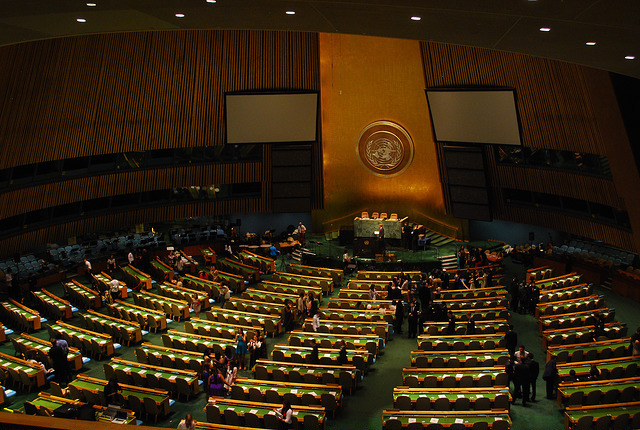 The UN may very well benefit from the revamped look that Antonio Guerres will undoubtedly provide the organization. But it is also time that the public views the UN earnestly, not as a supernatural organization and most definitely not an organization immune to critique, but as an organization tasked with the impossible and nothing more.